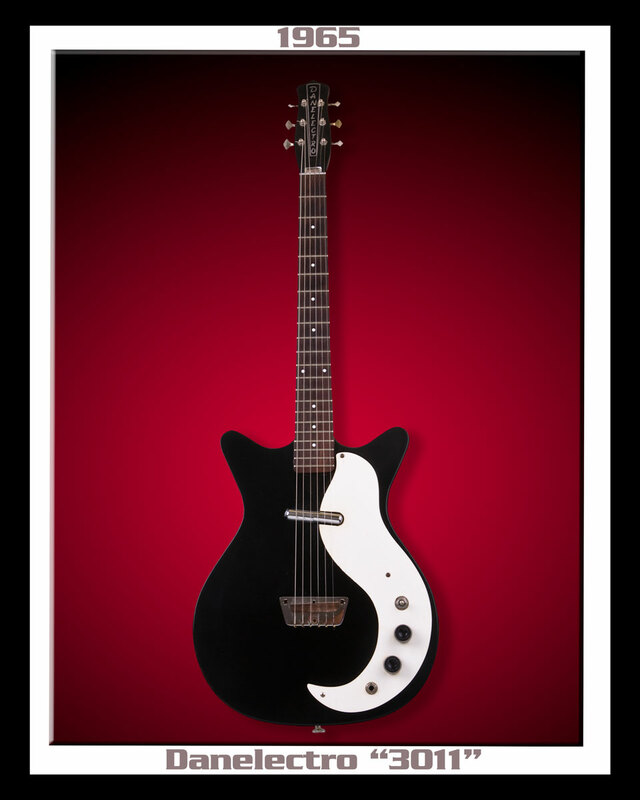 This '65 Danelectro 3011 semi-hollow body has one lipstick pick-up. 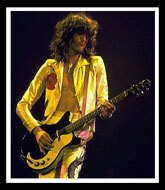 This Dano is similar to the 2 pick-up 3021 version played by Jimmy Page. I found this mint '65 Dano in a Pawn Shop, outside of Whiskeytown, CA. 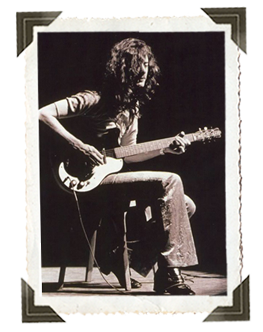 For some odd reason it's oddly appropriate that I found this guitar, with its Rock 'N Roll history, on a rural road outside that town (it just fits). 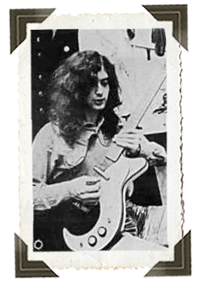 Jimmy Page used his Dano on songs like Kashmir and added variety to his multi-tracked guitar parts by overdubbing his 3021 for slide on songs such as "What is and What Should Never Be". 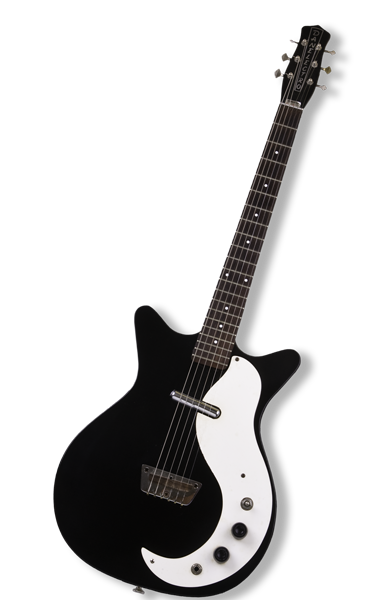 As another reference point for this Dano's sound... the single lipstick pick-up produces a very heavy twang and when turned-up it has a biting-tone... reminiscent of a song like "All Right Now" by Free.